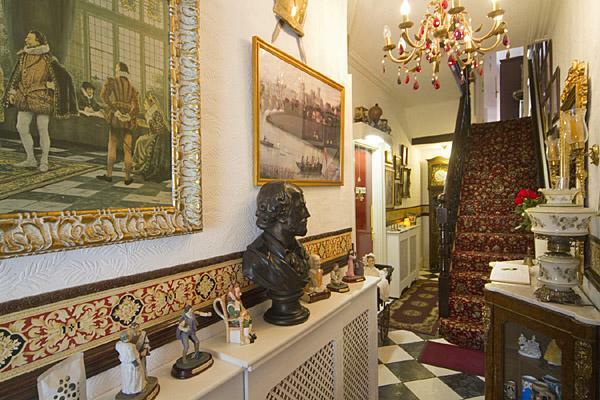 Step into our reception hall and enter a Shakespearean mini-museum with its many paintings and curious of the era. We look forward to greeting you here upon your arrival. Our first floor sitting room/office area is available for the use of our guests. A quiet room with desk and relaxing chairs on the first floor where guests are welcome to sit and relax whilst catching up with the newspapers, a good book or to finish off some last-minute business preparations. Services such as: hairdryer, ironing facilities and fridge for vistors use.